A second series of workshops aimed at helping Worcester’s community development organizations (CDCs) build capacity began this week with a session on fundraising. 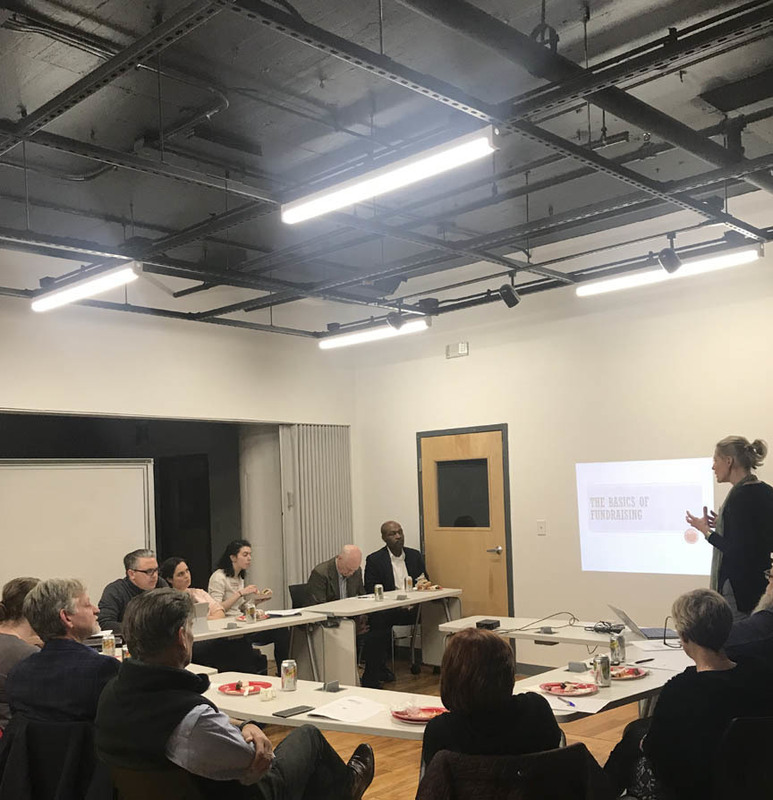 Held on January 9 at the Worcester Clean Tech Incubator, the event featured presentations by fundraising consultant Sarah Tanner and John Fitterer of the Massachusetts Association of Community Development Corporations. Fitterer talked about how CDCs have raised funds through the state’s Community Investment Tax Credit Program. The January 9 session on fundraising was preceded by a dinner and networking event hosted by Lionel Romaine of CEDAC, Kate Bosse of MHP and Kathyrn Madden, an urban planner and visiting lecturer at Clark University who has over 25 years of experience helping cities and institutions shape their future development. The CDC workshop series builds upon CEDAC and MHP’s longstanding support of Worcester CDCs and neighborhoods. MHP efforts include supporting rental development and homeownership efforts of Worcester Common Ground, the Main South CDC and in the Bell Hill-East Side neighborhood in collaboration with the East Side CDC and UMass Memorial Hospital. In all cases, MHP used its ability to bring in private financing to support community reinvestment through its bank-funded loan pool and its ONE Mortgage Program for low- and moderate-income first-time buyers. MHP has used its bank-funded loan pool to provide $16.9 million in loans and commitments for the financing of 32 rental projects and 521 apartments, 367 of them affordable. MHP’s ONE Mortgage Program has helped 816 low- and-moderate-income households in Worcester purchase their first home, generating $125.6 million in private mortgage financing from participating banks. About 69 percent of those buyers had incomes below 80 percent of area median income. For more information about this program and MHP’s community assistance work with CDCs, contact Katie Bosse at kbosse@mhp.net or 617-330-9944 x128.